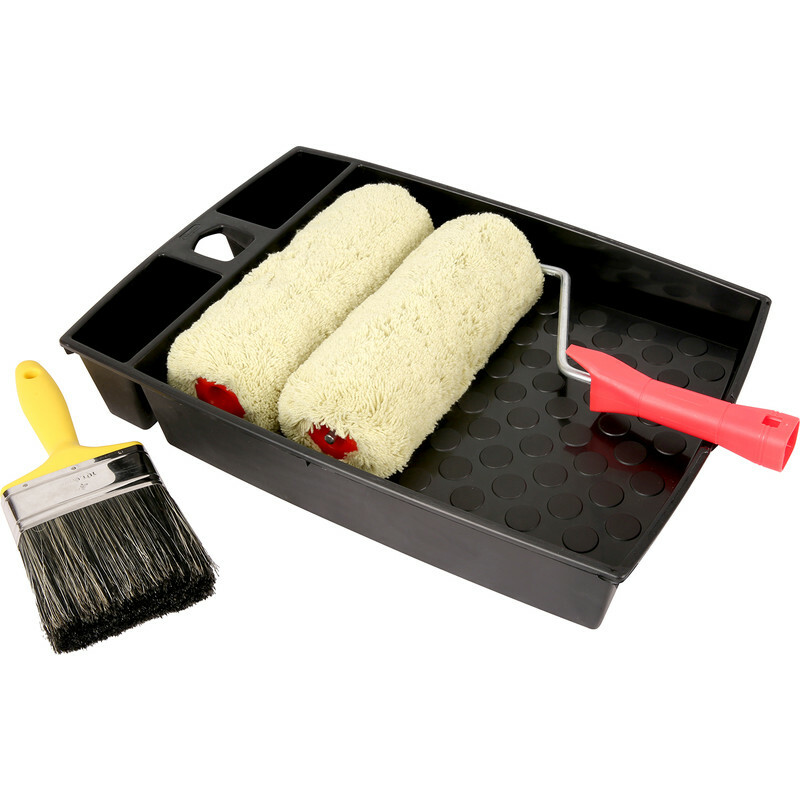 Heavy duty set, containing 2 x 9" padded long pile green roller refills, 1 x 9" stick frame, 1 x 4" yellow masonry paintbrush and 1 x 11" jumbo roller tray. Pioneer Masonry Paintbrush & Roller Set (5 Piece) is rated 1.0 out of 5 by 3. Rated 1 out of 5 by Dazboy from Worst roller ive ever used Worst roller ever 2 sleeves last 1 hour. Woven sleeve is only held in place by end caps. Woven sleeve came away from roller after a few minutes to show a cheap packing type foam. Save your money and by a better sleeve will never by this again, at least it was only a fiver i wasted. Rated 1 out of 5 by Cyclops 846 from Rubbish I bought this to paint over my pebble dash house (bought 4 in total) all rollers lasted for about 1 hour then the end coupling broke and roller would fall off fit the other roller & that would do the same, I have 1roller left it has lasted the longest,will be looking for a better more reliable roller set.